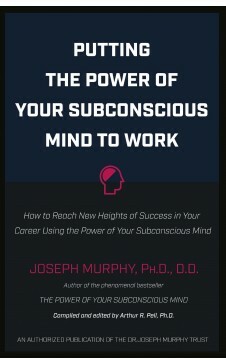 When Dr. Joseph Murphy wrote his bestselling book The Power of Your Subconscious Mind, he set forth the basic techniques for enriching one?s life by programming the subconscious mind. This all-new book, based on forty years of previously unpublished research, shows how the subconscious mind can be used by people in their workplace when dealing with both routine and unexpected problems faced on the job. To illustrate Murphys principles, editor Arthur Pell has provided examples from the lives of past and contemporary business leaders who have achieved success by applying these concepts in their professional lives. 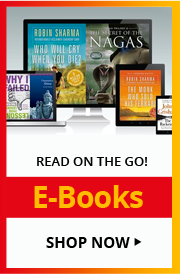 This book covers the most vital subjects in career and business success including: establishing goals, developing self-confidence and resilience, mastering the law of attraction, leading a dynamic team, effective communication, managing time efficiently, and more. Joseph Murphy was a Divine Science minister and author. Murphy was born in Ireland, the son of a private boy's school headmaster and raised a Roman Catholic. He studied for the priesthood and joined the Jesuits. In his twenties, an experience with healing prayer led him to leave the Jesuits and move to the United States, where he became a pharmacist in New York (having a degree in chemistry by that time). Here he attended the Church of the Healing Christ (part of the Church of Divine Science), where Emmet Fox had become minister in 1931. In the mid 1940s, he moved to Los Angeles, where he met Religious Science founder Ernest Holmes, and was ordained into Religious Science by Holmes in 1946, thereafter teaching at the Institute of Religious Science. A meeting with Divine Science Association president Erwin Gregg led to him being reordained into Divine Science, and he became the minister of the Los Angeles Divine Science Church in 1949, which he built into one of the largest New Thought congregations in the country. In the next decade, Murphy married, earned a PhD in psychology from the University of Southern California and started writing. After his first wife died in 1976, he remarried to a fellow Divine Science minister who was his longstanding secretary. He died in 1981.